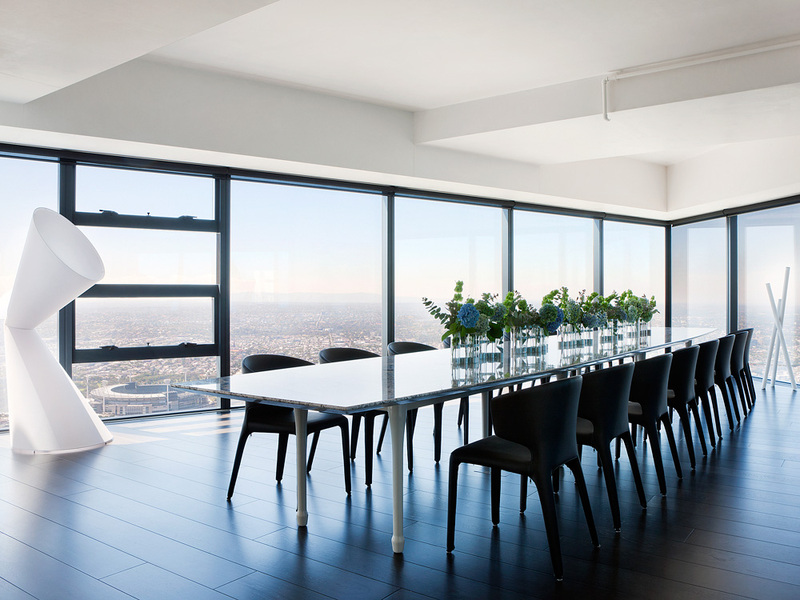 A residential interior project, the existing condition was a newly constructed apartment on the 82nd floor of Melbourne’s tallest building. Molecule’s brief was to furnish the apartment, achieving an interior in line with global penthouse benchmarks. The design challenge was to create a glamourous atmosphere in the spirit of its skyline location in which the furniture melded seamlessly with the architectural substrate; our design response was to combine distinctive and sculptural designer furniture pieces in moody monochrome fabrics, achieving a futuristic, galactic world.